Microsoft stands poised to unveil the next chapter in the ambitious, yet tumultuous Surface saga on Tuesday, with a quote-unquote “small” Surface event in New York City. The date’s concrete, but the details are murky. 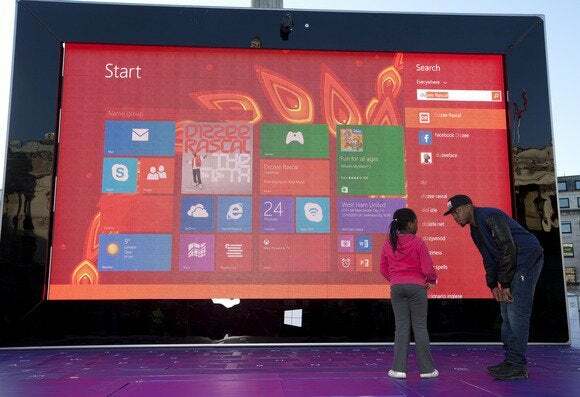 Just what is Microsoft going to unveil? The Surface 2 and Surface Pro 2 were only launched in late October, after all. We’ve seen a frenzy of reports alleging exclusive information on the devices. We’ve also seen thoughtful analyst predictions leading up to the event. Mix those with a dash of Microsoft-supplied teases, and you get a tantalizing whiff of what might be cooking. Here’s a rundown of all the Surfaces we just might see on Tuesday, along with some thoughts on the likelihood of each actually appearing. Let’s start with what all indications suggest will be the star of the show: A shrunk-down Surface Mini. 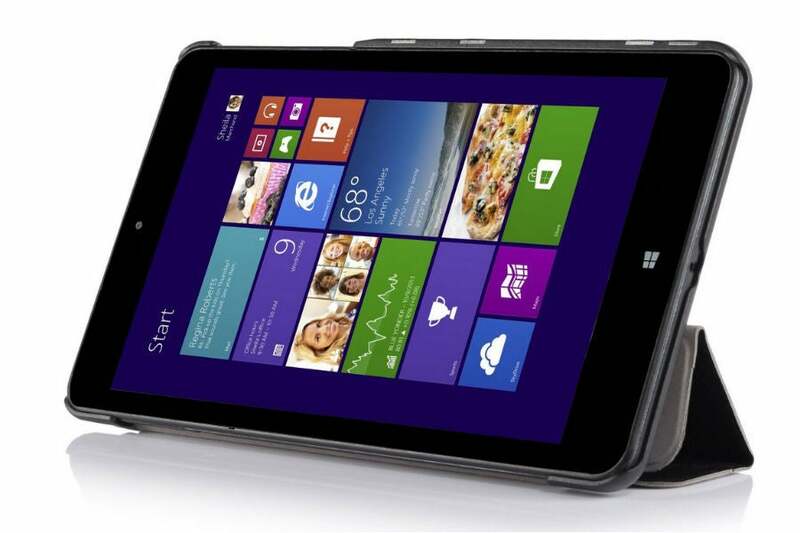 Surface Mini accessories are already appearing on Amazon. 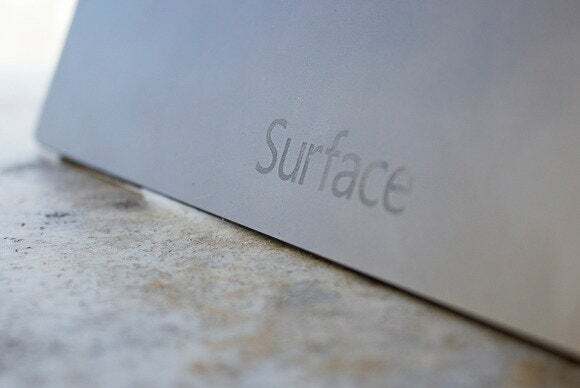 Rumors of a Surface slate with a diminutive display are nothing new, but between Microsoft’s “small” wordplay in the press invites and a slew of leaks from the consistently reliable Microsoft reporters at ZDNet, Bloomberg, Neowin, and WindowsITPro, a 7- to 8-inch Surface Mini seems all but a lock to be announced May 20. Every single one of those outlets—and others—say the Surface Mini will use Microsoft’s Windows RT operating system, which can run only Windows Store apps, not traditional desktop software. Notably, Microsoft is said to be ditching Nvidia’s Tegra processors, which powered both the Surface RT and Surface 2, in favor of Qualcomm’s Snapdragon line. 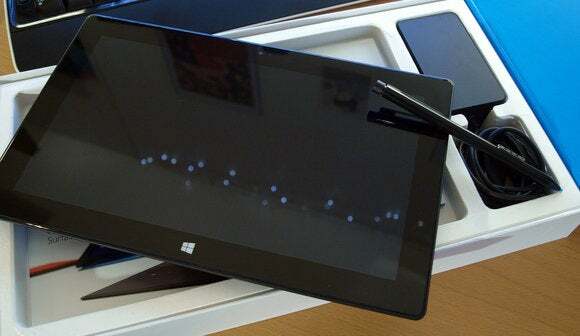 The Surface Pro’s digitizer pen. Will it happen? Didn’t you hear me say it’s all but a lock? I’d be astounded if the Surface Mini weren’t announced with the features listed above. Heck, you can already buy third-party accessories for the thing. The release of an ARM-powered Surface Mini would be news enough, but Bloomberg and CNET say that multiple Surface models will be announced on Tuesday, with Intel playing some part. An Intel-based “Pro” variant of the Surface Mini would make sense; after all, the full-sized Surface ships in both Windows RT and Windows 8 flavors. An Intel “Bay Trail” Atom chip would seem to be the best option for a Surface Mini Pro, offering a compelling mix of endurance, good-enough performance, and full desktop software compatibility. There’s a reason virtually all 8-inch Windows tablets pack that processor. Will it happen? While there has been next to no noise about a Surface Mini Pro, it’s very easy to imagine one being launched alongside an RT-based Surface Mini. That said, I wouldn’t be disappointed if Microsoft passed on a Pro Mini, as the smaller 8-inch form factor lends itself much better to mobile-first apps than distinctly finger-unfriendly desktop software scrunched down to fit a diminutive display. There’s already a flood of perfectly acceptable 8-inch Windows 8 tablets out there, and a Surface Mini Pro would be much more difficult to differentiate. But there may be more than a Mini at the Surface event. Bloomberg’s sources say Intel “models”—note the multiple—will be announced, while CNET’s sources say at least one Intel-based Surface model is likely to sport a fresh, power-optimized Haswell chip variant. The Haswell architecture is reserved for Intel’s PC-class Core series chips, and those Core series chips have served as the potent productivity backbone for both the original Surface Pro and October’s Surface Pro 2. Is a Surface Pro 3 inbound? Microsoft added fuel to the fire when it published a support page specifically name-checking the Surface Pro 3 on Tuesday, though the company quickly scrubbed that reference, saying the inclusion was a typo. Will it happen? We’ve heard whispers of a Surface Pro 3 announcement as well, but it seems awfully soon after the release of the Surface Pro 2 to release a Surface Pro 3, especially since Intel’s next-gen “Broadwell” Core series chips have yet to hit the market. Then again, Intel’s Broadwell processors have suffered from manufacturing delays, and rumors suggest Broadwell may not even launch until very late in 2014. Intel ain’t talking timetables. If a Surface Pro 3 indeed appears on Tuesday, it would seem to give credence to those reports—it’s hard to imagine Microsoft launching a Haswell-powered Surface Pro 3 now only to announce a Broadwell-based Surface Pro 4 this fall. We’ll see what happens. Then again, the Surface Pro 3 could be a whole new entry in the lineup, more complement than replacement to the Surface Pro 2. Rhoda Alexander, an IHS iSuppli analyst focused on monitor and tablet research, told CNET that “There are strong indications that there is a 12-inch product coming down the pipeline.” Rumors of a larger iPad have run rampant for months; perhaps Microsoft could try to skate to where the tablet puck is purportedly going? Will it happen? Reply hazy, ask again. But what if new Microsoft CEO Satya Nadella has something even trickier up his sleeves? While all the Surface models released thus far have been tablets, Microsoft’s into hardware in a big way now, and I’d love to see Surface expand as a far-reaching, productivity-focused universe of devices. Like Windows lover Paul Thurrott, I’m lusting for a “Surface Pro Book”—a proper Ultrabook-style machine to accompany Microsoft’s laptop-like tablets. A notebook with a 13-inch screen and a permanent Type Cover-style keyboard (but with better key travel); a notebook that offers more customization options than the Surface Pro 2, but still manages to cram it all into a thin-and-light package, as Ultrabooks are wont to be. Some extra USB ports would be nice, too. I’d personally much rather see IHS iSuppli’s rumored 12-inch Surface panels land in something like this than a larger Surface tablet—though the appearance of a Surface Pro Book would no doubt enrage Microsoft’s hardware partners even more. There’s a wide array of VaporMg-clad Surface products we’re drooling after. How about a Surface Windows Phone, the all-business counterpart to Nokia’s flamboyant Lumias? It’d be a great match for Windows Phone 8.1’s new enterprise chops. And how about a mobile monitor along the lines of Lenovo’s ThinkVision LT1423p, for when the Surface’s 10.6-inch screen just doesn’t cut it, or maybe even a Surface smartwatch? Actually, scratch that last one. Will it happen? Don’t hold your breath. But hey, a guy can dream, can’t he? So what new Surface devices will actually be revealed at Tuesday’s event? Tune in tomorrow to find out. PCWorld’s news Voltron is assembling to bring you all the details as they’re announced, and senior editor Mark Hachman will be on the ground in New York to grab some hands-on impressions of whatever’s on tap.